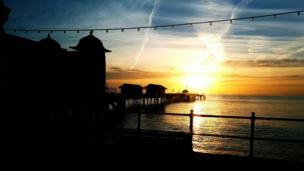 Penarth Pier at sunrise, taken by Kieran Hawkson. Would you like to see your picture featured? Send it to newsonlinepictures@bbc.co.uk with your details and information about how you came to take the photograph. How much more Welsh can you get? 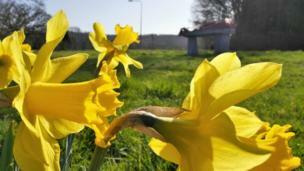 Daffodils up front and a dragon in the background, courtesy of Laura Shepherd in Presteigne. 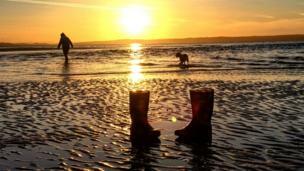 Pamela Hughes snapped her daughter Naomi ditching her wellies to paddle with the dog at Penmaenmawr Beach, Conwy. 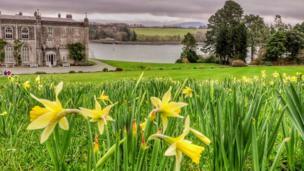 Mel Bloor-Steen captured daffodils overlooking the National Trust’s Plas Newydd in Anglesey. 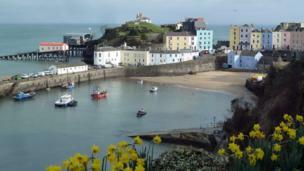 Rhys Evans' picture just sneaks in the daffodils overlooking the colourful Tenby harbour. 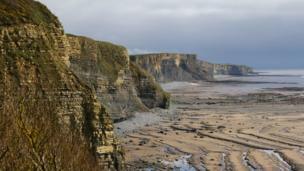 Tim Robins, from Ontario, Canada, snapped this shot of the Jurassic cliffs at Southerndown beach while hiking with his family. 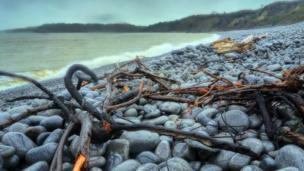 Lyndon Ellis, from Newport, blows away the cobwebs on a biting morning with a walk on Cold Knap in Barry. 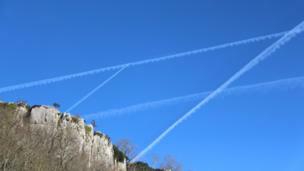 Vapour trails over Llysfaen in Conwy, as seen by Gregory Mape from a caravan park underneath. 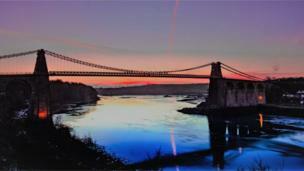 The sun sets over the Menai Bridge linking Anglesey with Gwynedd, snapped by Bleddyn Jones. 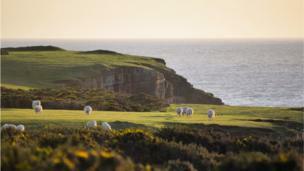 Ashley Williams captured these grazing sheep at dusk on Gower, Swansea. 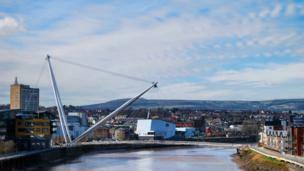 Evan Lewis stopped on George Street Bridge to take in the changing urban landscape in Newport. 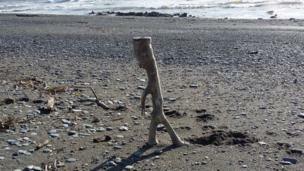 He's a perfect stick man - or so thought Susan Caldwell when she came across this piece of driftwood on Aberystwyth beach.